Singapore Airlines Airplane Made Of 100 BALSA WOOD Pieces! Albeit the American moto is “bigger is better” or “the more the merrier”, sometimes beautiful things can come in small packages. The video you are about to see is completely in accordance with the fact that nice things often appear in small packages. 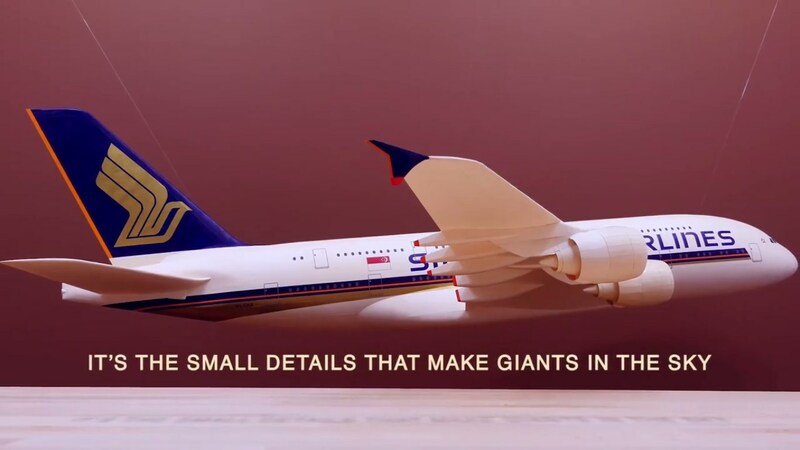 Namely, it is a word of a very creative (time lapse) video clip which will definitely make you wonder how much time, effort, talent, material, patience were needed in order to build the small Singapore Airlines Airplane. More precisely, this recording features a highly gifted person who creates almost the whole interior of small scale Singapore Airlines airplane out of balsa wood! At the beginning, you are going to see how this person separates ALL of the pieces and then puts them together creating impressive, functional, small scale interior for all of the available classes. In other words, this man (probably an architect or a designer) built the seats for the economy class, premium economy, business, first class as well as the suites. All that with precise measures, a lot of talent and effort too! According to this video clip the “it`s the small details that make the giants in the sky” moto is undeniably true. Finally, follow this link to watch the best airline commercials ever made!